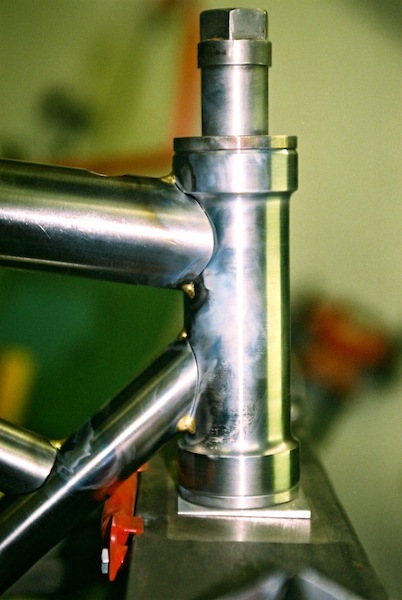 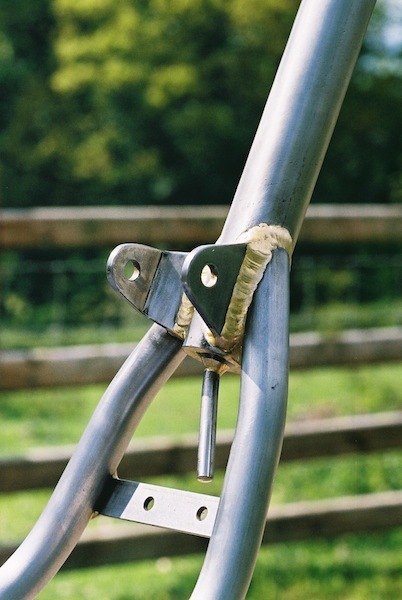 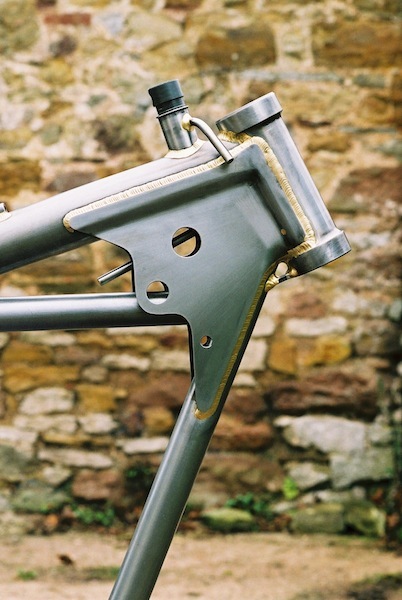 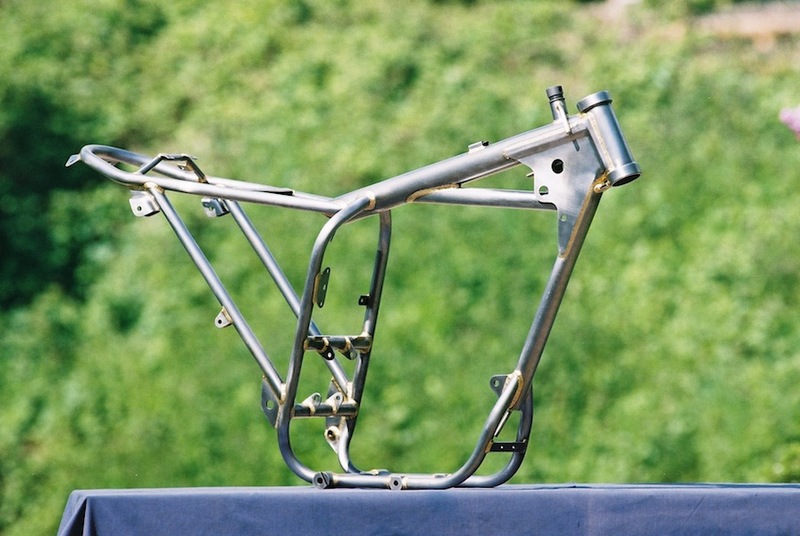 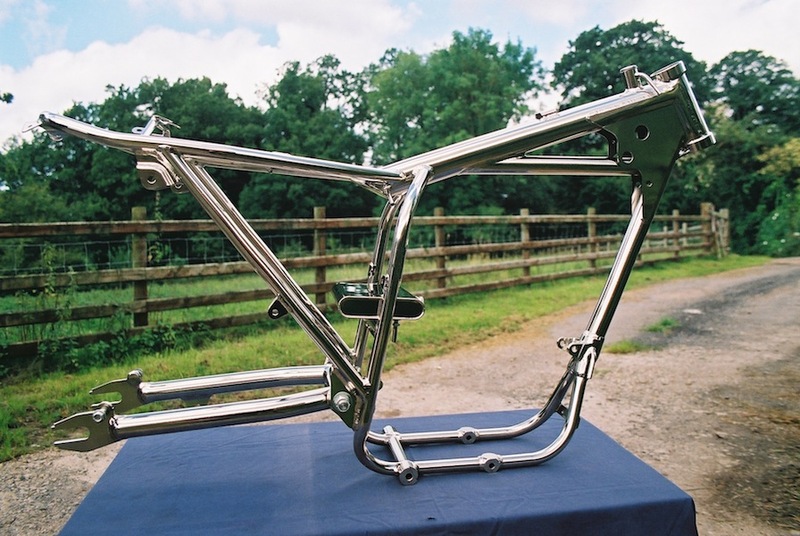 This frame takes the B44 engine. 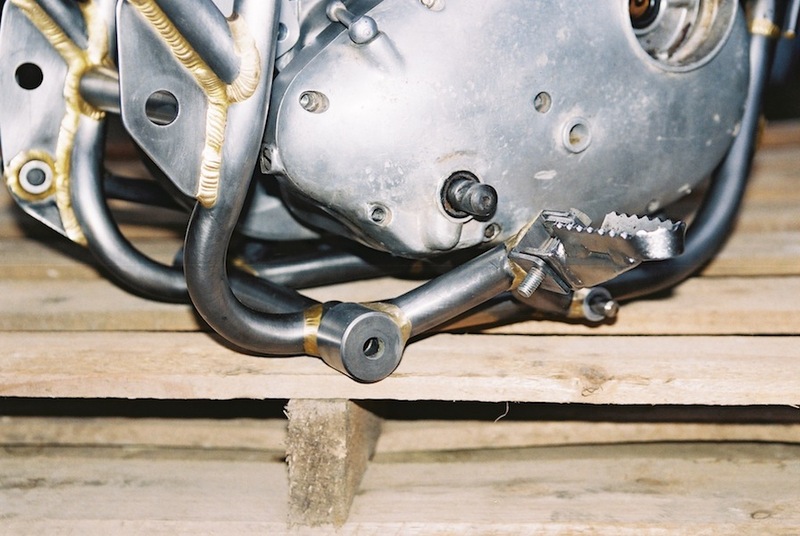 It can also be supplied to suit the B50 engine if required, but as this requires some minor adjustments, it must be specified as such at the time of ordering. 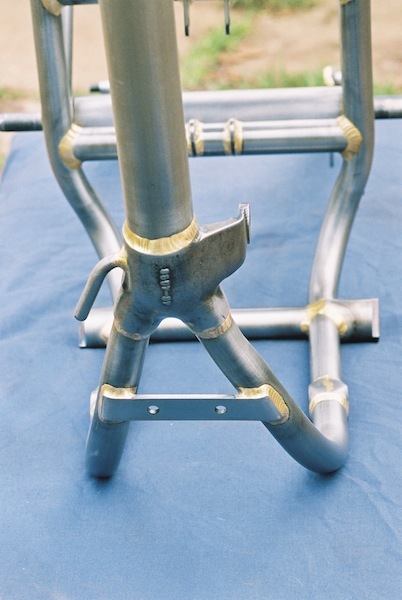 It comes with the original style oil tank, which can be welded to the frame (for a true replica), or supplied in bolt-on form as required. 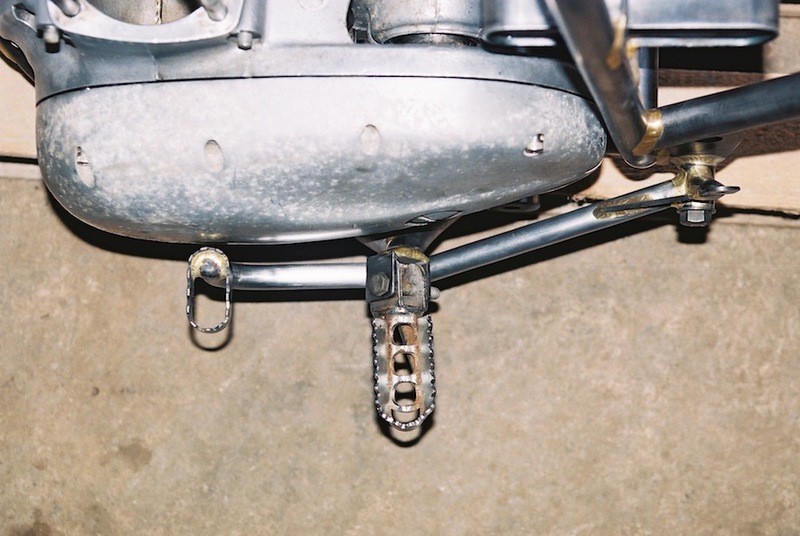 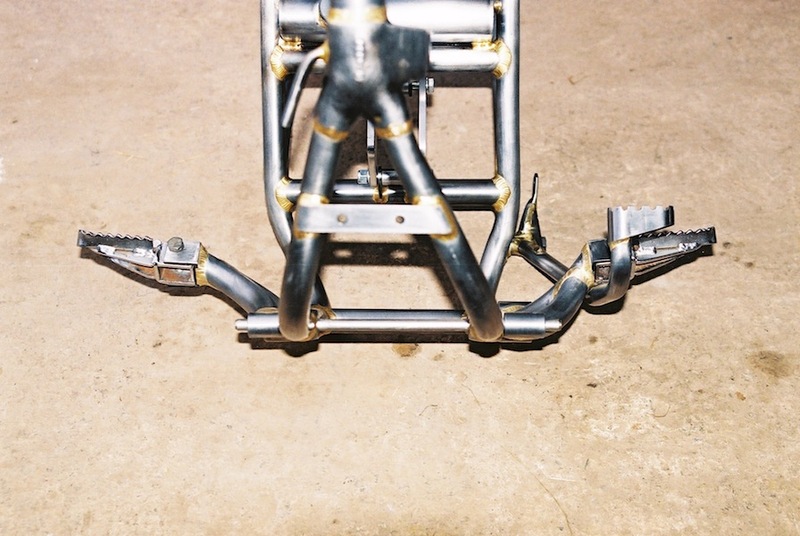 Genuine Victor GP footrests are a one piece forging, however these tend to bend; necessitating bracing to the lower engine mount, and are no longer available. 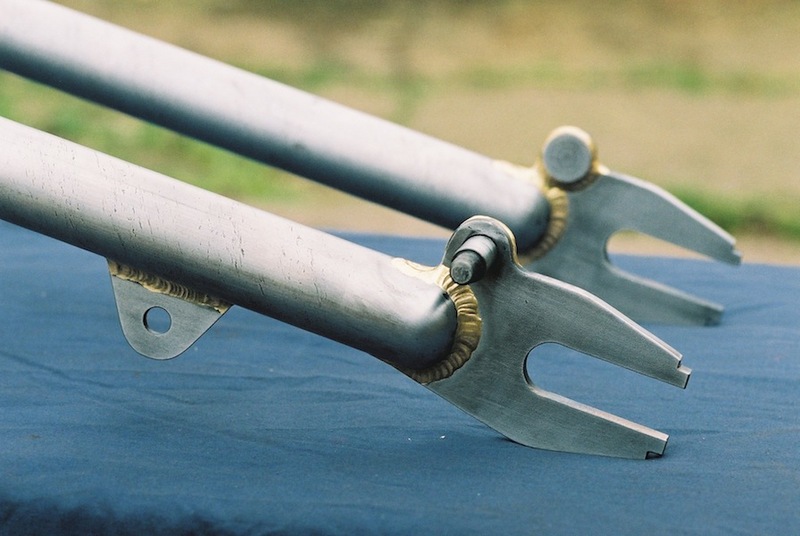 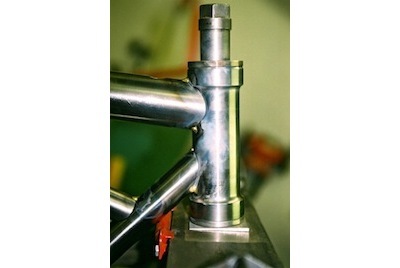 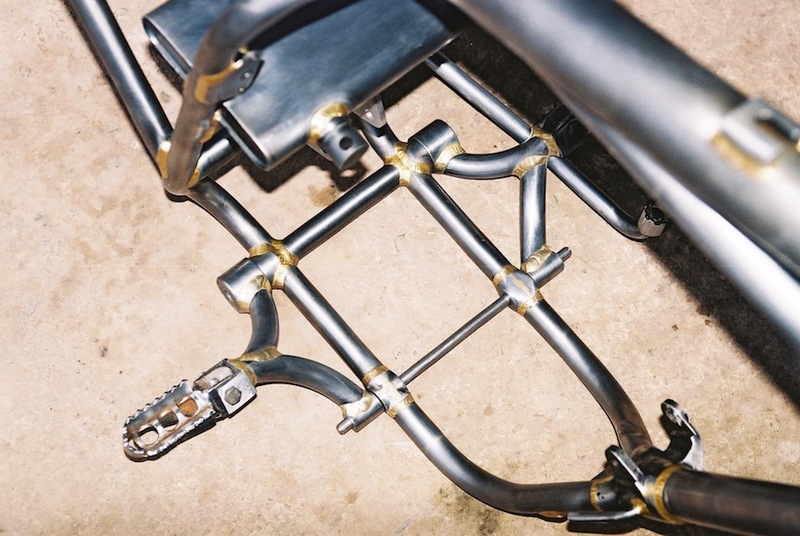 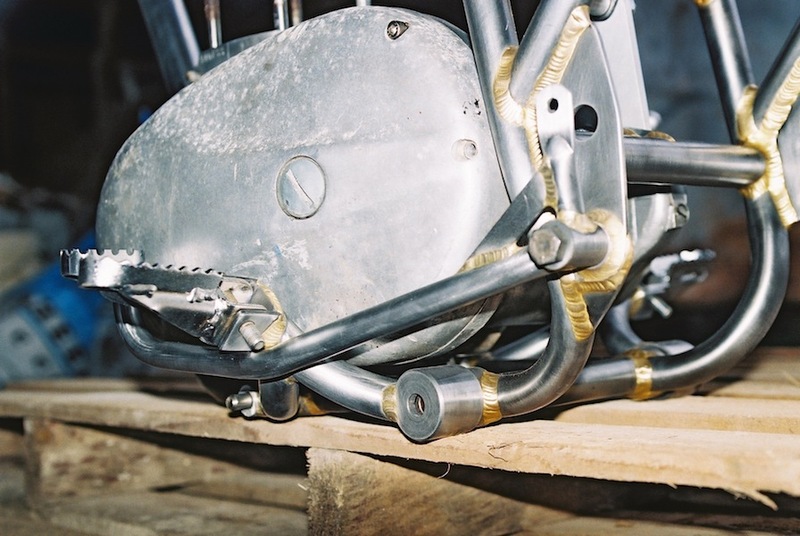 Mojo replacement footrests are of the folding type made from chrome-moly tubing, and pick up on the footrest mount as well as the lower engine mount. 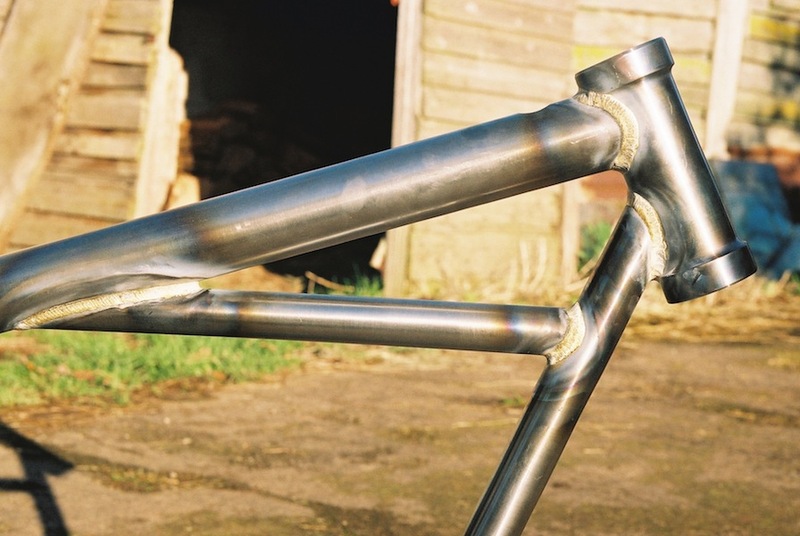 They also work well with original GP frames. 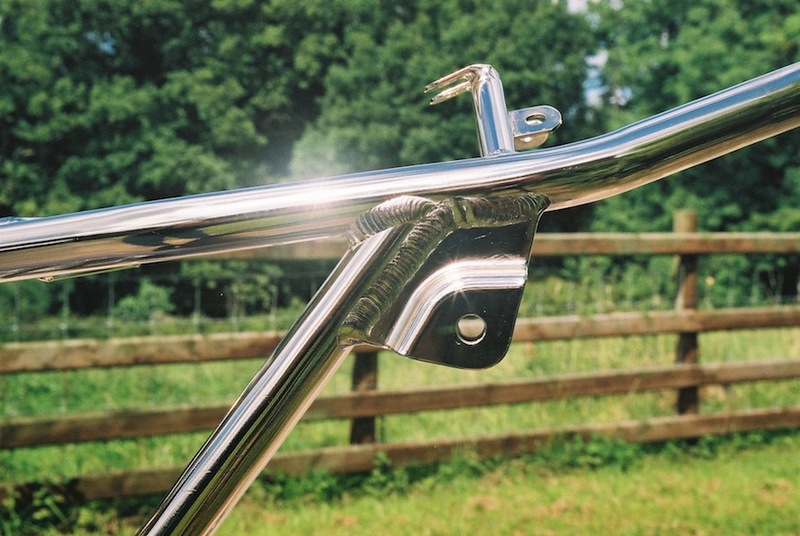 Likewise the brake lever is a tubular replacement for the original forging. 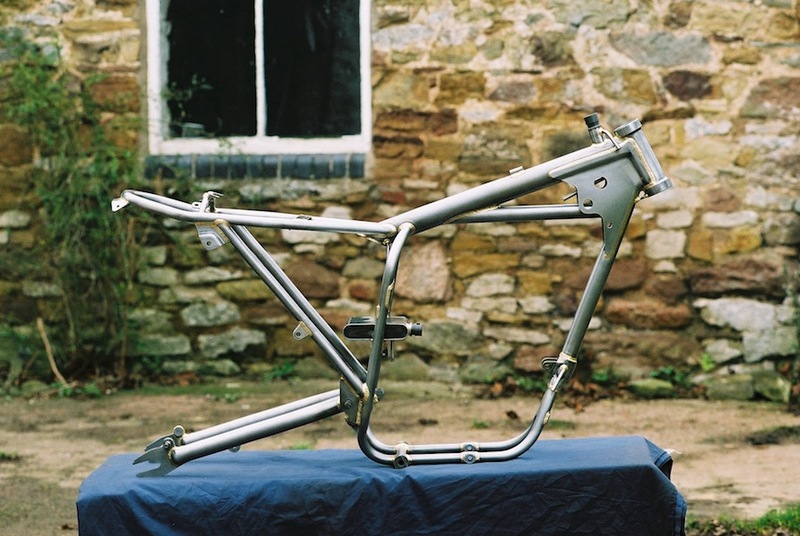 A fibre-glass seat base is available to suit this frame.